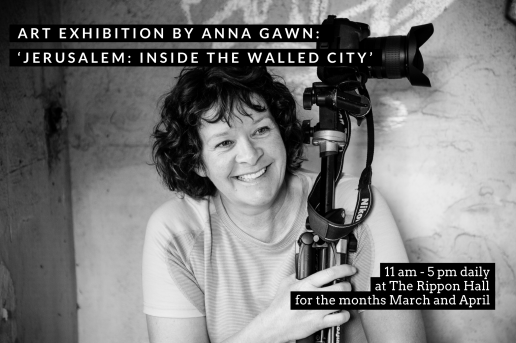 We are thrilled to have two diverse photography exhibitions by Anna Gawn showcased at The Rippon Hall now through to the end of April. The primary exhibition features Jerusalem, one of the oldest cities in the world, bitterly fought over for centuries and a holy place of enormous significance for three religions. Jerusalem is a place where emotions are extreme: absolute intolerance, delirious joy, vitriolic hatred, profound devotion, corrosive depression and explosive violence. Anna’s husband David, was Head of Mission for UNTSO (United Nations Supervision Organisation). His job was to monitor the borders between Israel and its neighbours, Lebanon, Syria, Jordan and Egypt, and to do what he could to ‘further the peace’. The UN mission was based in Jerusalem. Anna’s second exhibition features beautiful Italian frescoes. 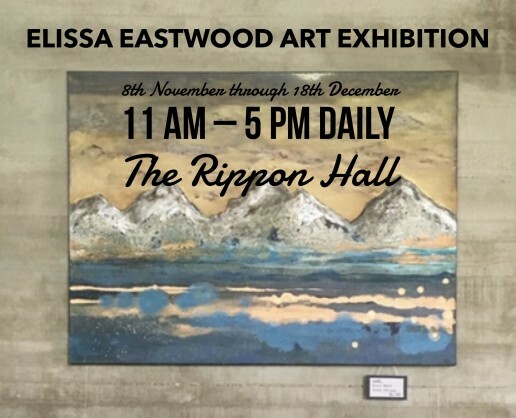 From 8th November through 18th December, The Rippon Hall is excited to bring you an exhibition by Elissa Eastwood. Eastwood is a Wanaka based artist who is currently completing a Diploma in Design and Decoration from Open Polytechnic New Zealand. She attended the Enmore Design School in Sydney and went on to study Visual Arts at Sydney University with a focus on painting. When artist Elissa Eastwood was younger, she used to chase post cards, jumping planes from one beautiful location to the next. Seeking out extreme and amazing environments, which more often than not, led her to the mountains. She no longer travels with this reckless abandon, but rather explores her reactions to her environment through her artwork. She is in constant awe of the extreme nature and beauty of the mountains, it’s a place where she is blissfully aware of her own insignificance. In Eastwood’s abstract work she presents a series of symbols that allude to a narrative – just out of reach. In her cityscapes she employs a detached perspective from where you can see the restless energy of a city, a vibration that extends beyond its location. Eastwood works in a unique style using resin, incorporating an eclectic mix of recycled materials and etching to build the detail into the works. Through the nature of the materials used, the works lure you to look through the work, dodging colour, metal, and hidden agendas. The process of discovery is part of the experience, which in itself is the art work. 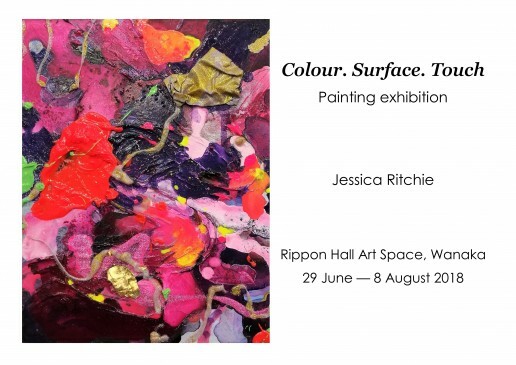 Don’t miss this fascinating exhibition running 8th November through 18th December; 11 am – 5 pm daily at The Rippon Hall. Do you know that every time you hear the fire siren go off in town it’s unpaid volunteers that are coming to the rescue? It’s now time for YOU to answer their call! 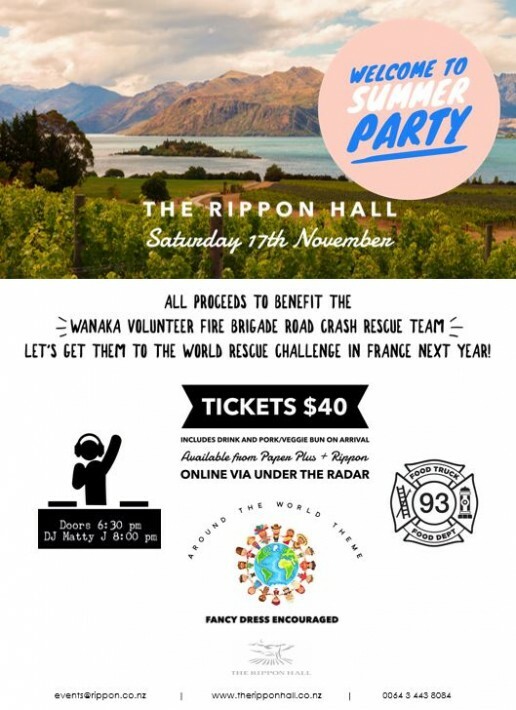 Recently the Wanaka Road Crash Rescue Team, who are all volunteers in the Wanaka Volunteer Fire brigade, won the Australasian Road Crash Rescue Competition, and their team of seven is now eligible to compete in the World Road Crash Competition next year in France and we’re hosting a little party to help them get there. Come on out for a great time and support the folks who will always have your back if you get into trouble on our roads. Live music from DJ Matty and fun times. Tickets includes a drink and an epic pork bun from Dale at the Food Truck Food Department on arrival. 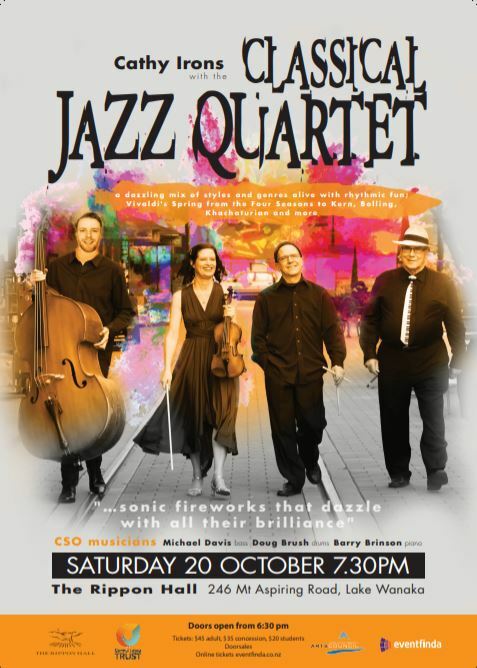 Grab your tickets online or at Paper Plus Wanaka in town. Come hang in the sun and lets get our party on! Round the world theme dress up encouraged! Revellers in Wanaka and beyond are gearing up to once again paint the town tartan at 2nd Annual Ceilidh Dance Wanaka, a feast of music, dancing and conviviality celebrating all things Caledonian. The dress code is easy at the colourful event which will take place on 27th October at the beautiful lakeside winery venue of Rippon Hall. 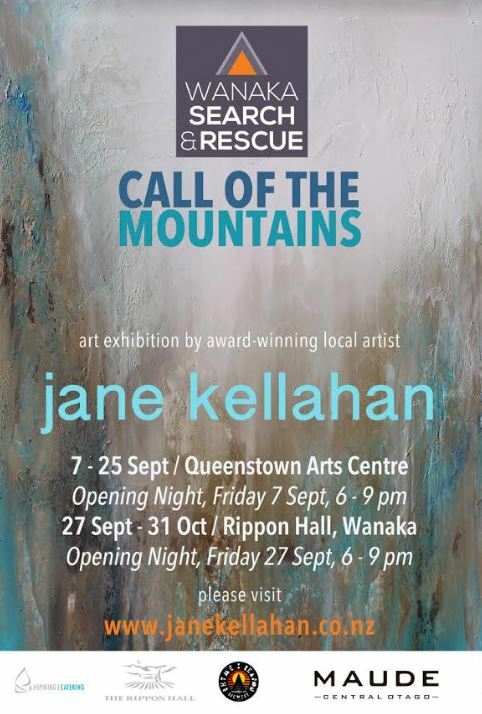 It will be in aid of both Te Kakano and Kahu Youth. The Ceilidh (pron. kay-lee) is a cornerstone of Scottish culture, originating from the Gaelic word for a Gathering or Party. It’s a fun filled night of wild dancing, good music and great company which will resonate with New Zealanders of Scots heritage as well as holding out a welcoming hand to everyone. 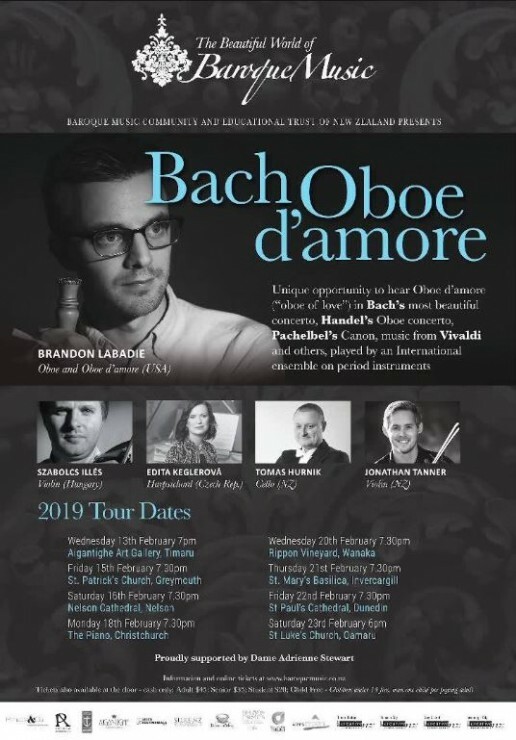 Up to 200 people are expected to take part in dances such as The Dashing White Sergeant, the Eightsome Reel, The Gay Gordons and Strip the Willow to the music of one of South Island’s top celtic bands, Hair of the Dog. Kilts and tartan will be welcome at the Ceilidh Dance Wanaka, but are not compulsory. 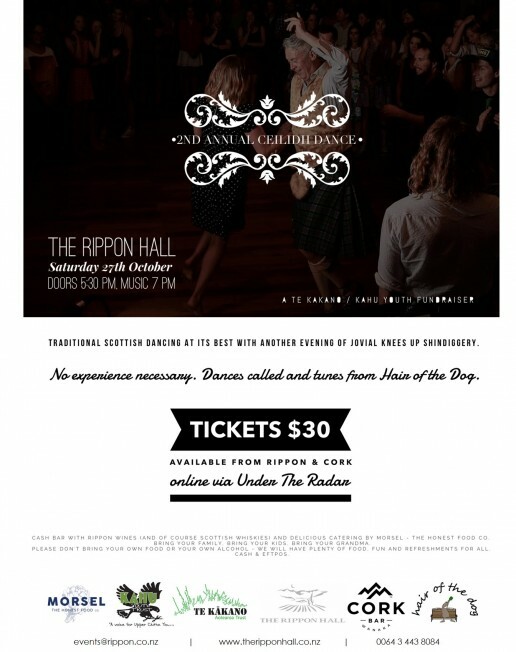 Cash bar with Rippon Wines (and of course Scottish whiskies) and delicious catering by Morsel – the Honest Food Co. Bring your family, bring your kids, bring your Grandma. Please don’t bring your own food or your own alcohol – we will have plenty of food, fun and refreshments for all. Cash & Eftpos. Tickets are $30 and will be limited to ensure plenty of space for dancing – get yours early so you don’t miss out. 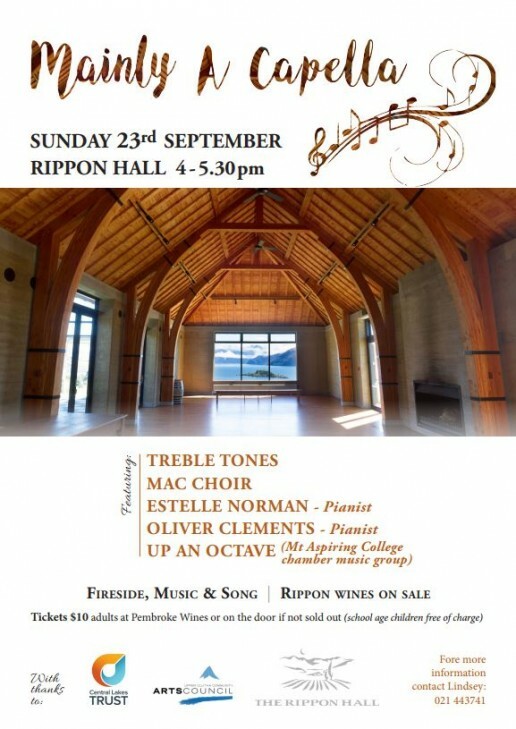 Tickets are available at Cork Bar (Mon-Sun 3pm–late) or the Rippon Cellar Door (11 am – 5 pm daily) or online via Under The Radar. 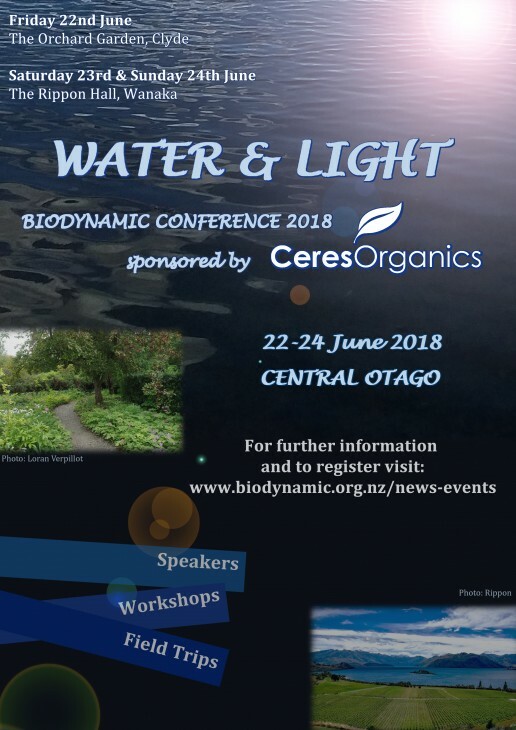 The Biodynamic Association of NZ’s conference is taking place in Central Otago this month with three days of workshops, discussions and even, weather permitting, a spot of star gazing and the Rippon Hall is proud to be hosting for the later part of the conference on the 23rd – 24th June. While this may be wine country, there will be plenty to interest all biodynamic practitioners in the workshops and talks being held during the weekend. Even if you don’t regard yourself as a biodynamic practitioner yet, come along and learn how this exciting way of growing can be integrated into your own farms and gardens. The conference is sponsored by Ceres Organics and the programme includes talks by leading biodynamic experts including a keynote presentation by Thea Maria Carlson from the United States and Ian Trousdell joining us by video conference from China. For details visit the conference webpage.